Dr. Xiqun Chen, MD, PhD, is an Assistant Professor of Neurology and Principle Investigator at the Department of Neurology, Massachusetts General Hospital and Harvard Medical School. The overall goal of Dr. Chen’s team is to develop improved therapies for Parkinson’s and related neurodegenerative disorders. 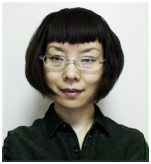 After graduation with medical and PhD degrees from Shanghai Medical College, Fudan University in 2001, Dr. Chen pursued her postdoctoral fellowships at the University of Rochester and Columbia University in the US to study signaling pathways regulating dopaminergic neuron survival and degeneration. She joined Massachusetts General Hospital, Harvard Medical School in 2009. In collaboration with cancer specialists, epidemiologists, geneticists, and bioinformaticians, Dr. Chen’s current effort aims to understand the associations between Parkinson’s disease and cancer (particularly melanoma) and to identify new therapeutic targets. Her work also involves drug discovery for neurodegenerative disease.